Yes it is true! I still lowed for clutches BUT now its for the absolute LOVE of mustard! Tres chic damnit! Pop Pop Pop! 3 pops of flavor! The sweater The pant The brogues. I love this combination. Especially the pant and how it stops just right at the ankle. I live for these types of cuts. Flower power baby! Can you ever get tired of floral when they come looking like this?! Isn't she lovely? Isn't she wonderful? 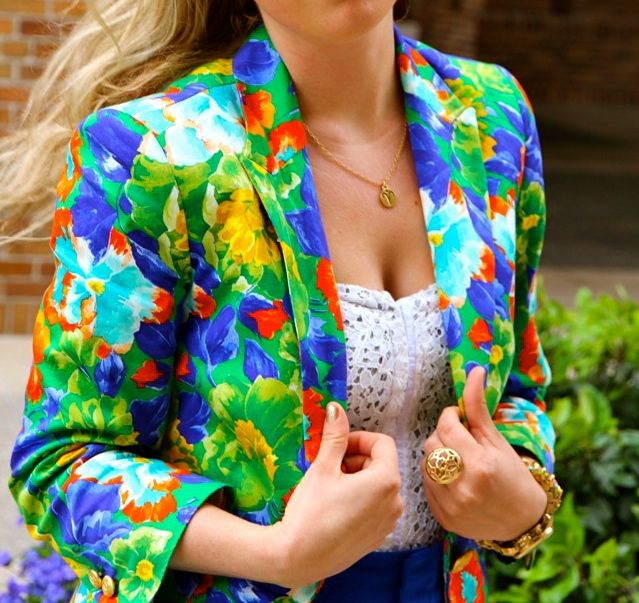 (cue the Stevie Wonder song) This blazer just spoke to me! A stand alone piece that will suit any tee and jean well. Gosh the possibilities!! Don't you dare pay attention to that thick sweater (or else it will bring back winter blues boo!) Just pay attention to the fabulosity of that gorgeous trench. I've always been a sucker for a great trench and this one here is just divine. The lace detail I love. And finally...Sigh...this jumper just screams luxury and comfort (-: I can already feel it on my skin. A soft, easy, effortless feeling and a statement jumper. Any takers? who is the designer for the fox baby blue shirt and trouser combo? i want it....badly. thanks!